We are a little family run hostel of 18 beds capacity and relaxed atmosphere, please don't expect parties inside the hostel but expect party directly in our neighbourhood which is full of tapas - and nighbars! we are in street Elvira which is parallel of the main road Gran via de Colon just 5min walking distance from the cathedral and 15 to the Alhambra, connected with bus n.Sn1 from the bus station and a bus to the airport from Gran via de Colon. We do not offer breakfast but guests can use the kitchen from 10.00 AM to 22.30 PM. We kindly ask our guests to avoid noise after midnight and respect our elderly neighbours. We rented the double suite. It was very comfortable and had a nice private bathroom. The location is great. 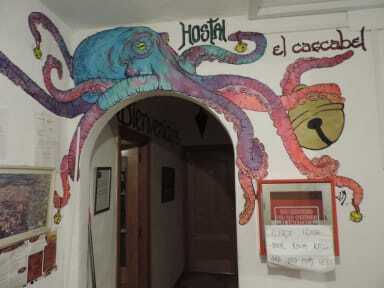 We had an awesome time in Granada, largely in part due to this hostel. Great location and the staff were absolute legends. Especially Sinje :) She gave us some great advice and made us feel very welcome. We wished we could have stayed longer as we felt like we were only just starting to pull back the covers on this wonderful place! Tight for space, but otherwise good people and great location, clean space. Thé staff Is amazing and the location Is perfect for do All the activities walking. However, the place hosts more people than it could really host so it becomes difficult to walk in your room because there Is no place for guests' belongnings, and stay at rooms just for have some rest during the day is not an option since you dont really have a place to just sit and read or plan your schedule. Cute, small hostel built in a family home. No common space to hang out in during the day and kitchen is very small. one bathroom for everyone to share made getting ready on time challenging. Staff was very accommodating and helpful. 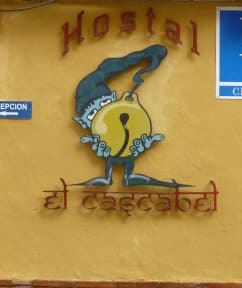 The staff at Hostal Cascabel are very nice and accommodating. It's small size makes for a cozy and friendly feel. Additionally the location and value for money are pretty decent. However, it could use some deeper cleaner, cosmetic updates, and new bunk beds (they squeak when you move). If the hostel could improve these things, it would make for a much better experience, but in a pinch it was fine. Nice but tiny, everything and everyone is crammed.